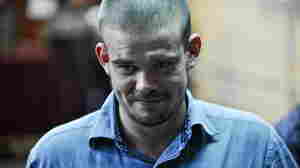 January 13, 2012  Joran van der Sloot, the 24-year-old Dutchman who remains the prime suspect in the still-unsolved 2005 disappearance of Holloway in Aruba, killed 21-year-old Stephany Flores in 2010. January 11, 2012  Joran Van Der Sloot killed 21-year-old Stephany Flores on May 30, 2010, five years to the day after Holloway's went missing in Aruba. He has been arrested twice, but never charged, in relation to the Alabama teen's disappearance.